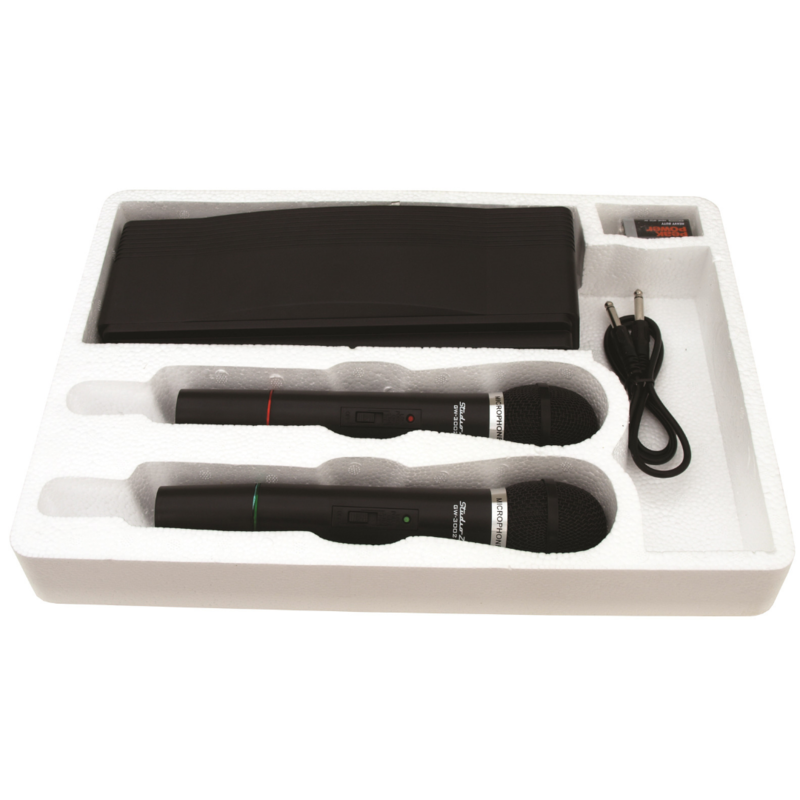 This unit provides an excellent economical dual handheld wireless solution for non-critical applications. 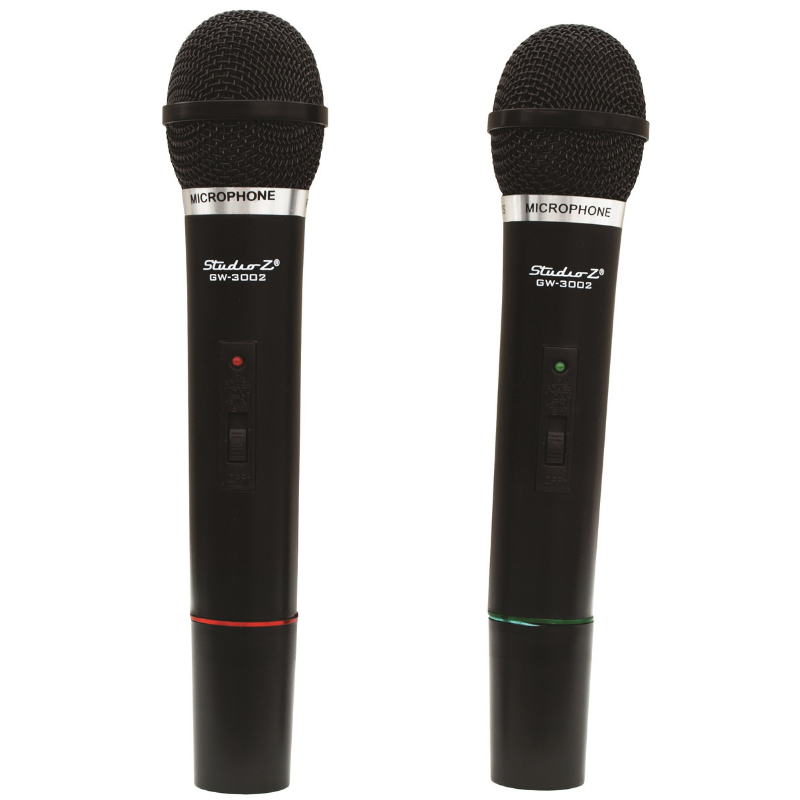 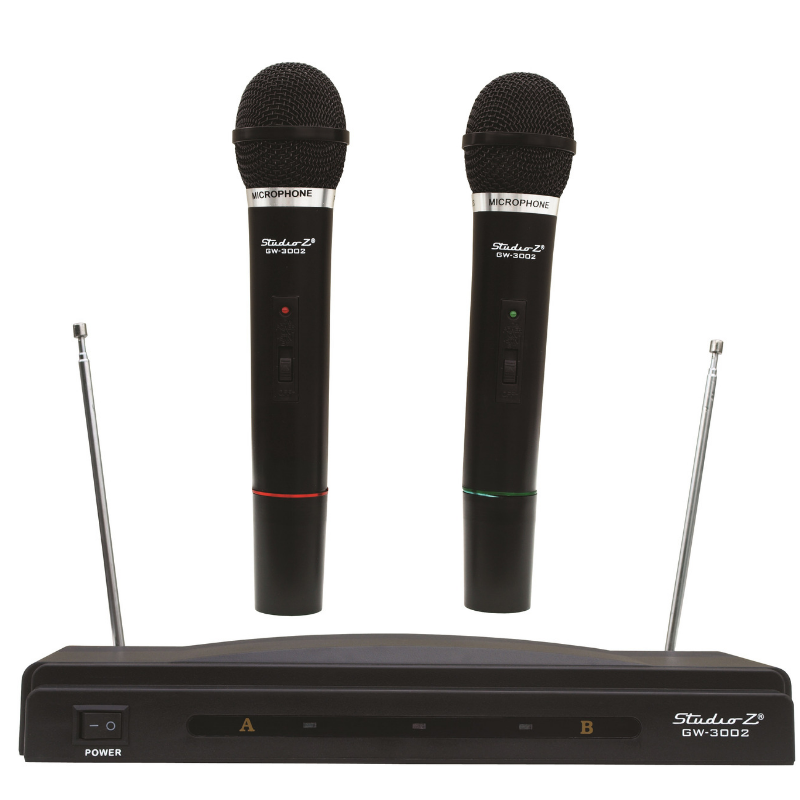 Great for karaoke, Backyard parties, Speaking events or anywhere a dependable low-cost system is needed. 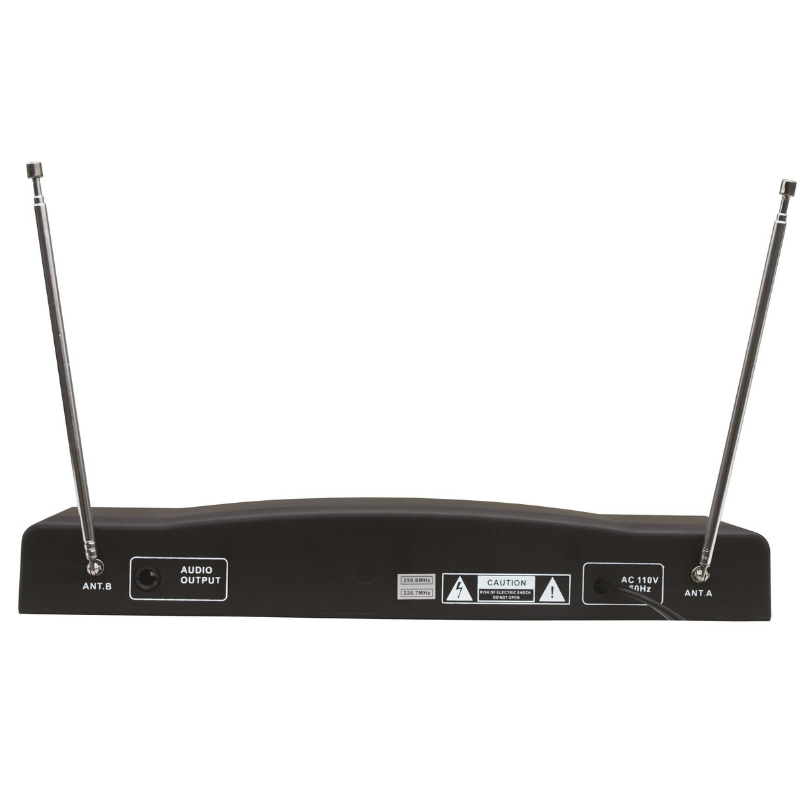 Both left and right channels have their own antenna and can be used simultaneously.